A super Valentine gift for the man in your life. Quite probably just what he would choose himself! Cornish Chilli Sauce – because he’s hot stuff! 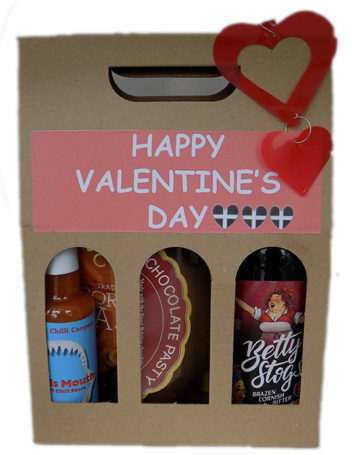 Add your own message for us to write on a suitably Cornish Valentine Card.